Did you know that depression is a condition that affects more than 16 million adults in America every year and that only one-third of individuals with severe depression get the professional help and therapy they need for recovery? Now that winter is upon us, this is a good opportunity to raise awareness and support people in recognizing how depression can impact their lives. Left untreated, depression can have a serious impact on quality of life and affect your career, relationships, health, socialization, and much more. 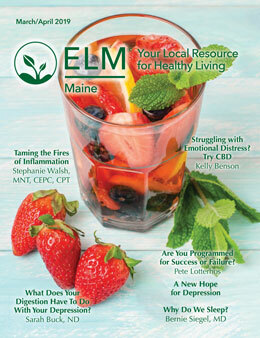 However, by taking part in a depression screening, Maine residents can evaluate their risk and explore options for combatting this common mental health condition. Here are some ways that professionals cope with depression. As with many health conditions, early detection is key to effective treatment. The sooner issues with depression are recognized, the sooner you can work on managing and overcoming them. By signing up for a depression screening, Maine residents can be proactive when it comes to their mental health and understand when their symptoms may be pointing to something more serious. Screenings can empower them to seek help from depression treatment centers that provide personalized care and attention in managing this disorder. There are a wide variety of ways to combat depression. 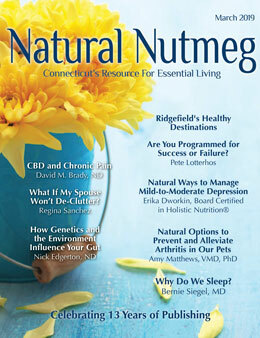 Some people find that medication is helpful for stabilizing their mood, while others opt for more natural methods, or a combination of both. Exercise stimulates your body to produce endorphins which are natural mood boosters and can help fend off feelings of depression as well as stress. Engaging in activities such as volunteering, participating in clubs or hobbies, spending time with friends, and making time for self-care can also be natural forms of depression therapy. Find activities that make you feel good about yourself and that you enjoy doing. Even if you’re not feeling motivated to participate, get out and do it anyway. Staying positive can be hard, but if you make a conscious effort toward finding something good in each day, it can make a difference. Start by picking a positive affirmation or mantra to recite to yourself when you’re feeling down. Focus on looking for the silver lining and keep a gratitude journal so you have something to reflect back on when you’re having trouble staying positive. Being deliberate about trying to stay positive can ward off potentially negative situations that can take a toll on your mental health. Surround yourself with people who make you feel good about yourself and lift you up instead of bringing you down. It is not unusual for individuals with depression to also struggle with other co-occurring conditions such as addiction. Some people turn to drugs or alcohol as a way to numb their feelings or forget about their problems. However, this is just a temporary fix and can actually end up making symptoms of depression worse, not better. For people with bipolar disorder, depression is a major part of the challenges they face. They cycle between being very positive and upbeat to feeling very low and depressed. Seeking treatment for co-occurring disorders can help you get involved with depression therapy as well as other programs to address both disorders concurrently. For instance, you’ll learn how to overcome addiction while also focusing on improving mental health. Depression and co-occurring disorders do not have to control your life. You can take back control and remember who you wanted to be through comprehensive care and professional treatment. Whether involved in residential treatment or gender-specific outpatient programs, you can fight back against depression with targeted treatment, positive reinforcement, and support from family and friends. Depression treatment centers like Crossroads can help you to access the support and trusted care you need for recovery. 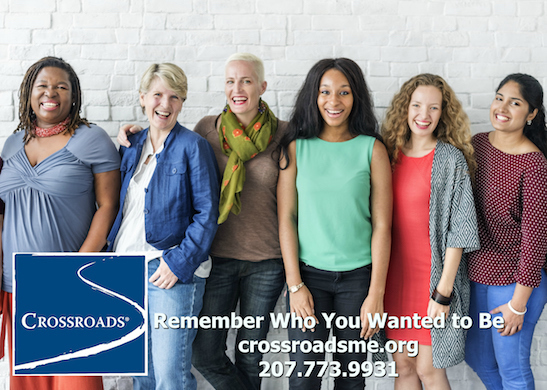 Crossroads will work with you to find the most effective treatment options for your needs including the depression therapy Maine residents are looking for. 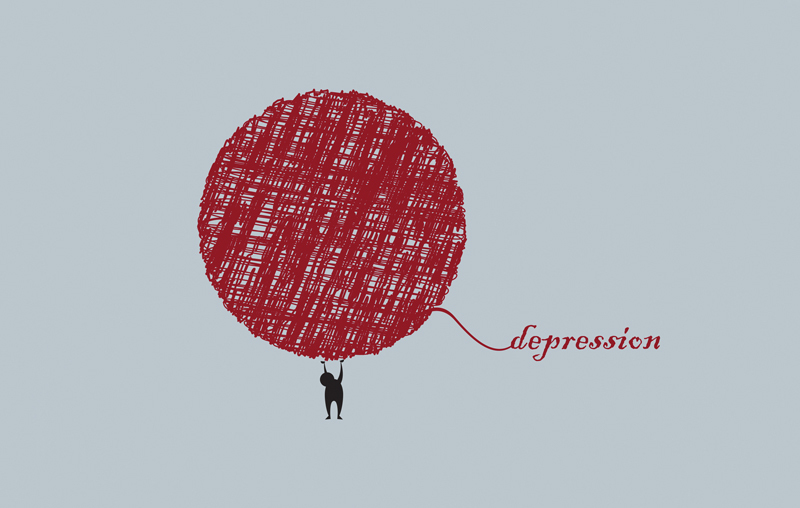 Don’t let depression control your life. Fight back with help from Crossroads. Visit us at: www.crossroadsme.org or call us 207.773.9931 to learn more.